It's time for some old school blogging hosted by Elaine at The Miss Elaine-ous Life. If you'd like to join in, just follow the link. I don't really know that I idolize anyone. I have lots of people I look up to though. The one that I look up to the most would have to be my mom. 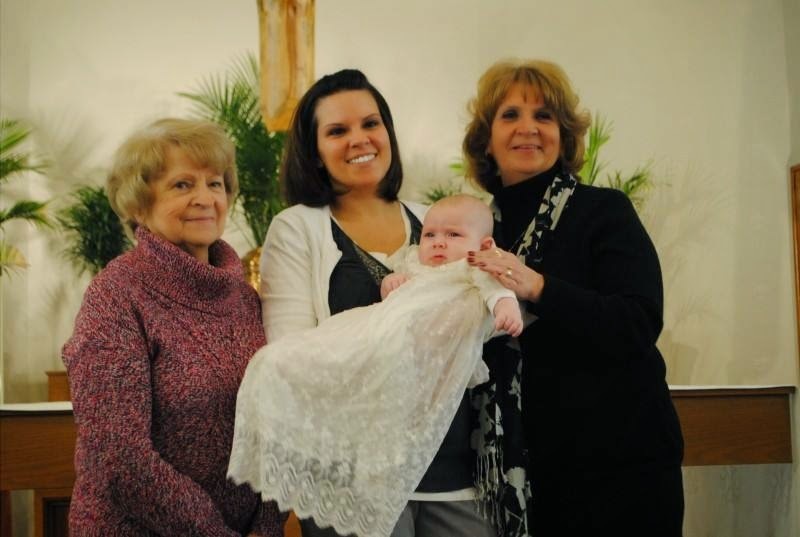 Here she is in a four generation picture last January at my granddaughter's christening. Isn't she beautiful? She just turned 89 last month. Would you ever guess that? I don't think I would if I didn't know her. She is the head of our family of over 30. She has been widowed twice and just keeps on going like the Energizer Bunny. She still insists on having the holidays at her house. She's amazing and I love her. I couldn't be more proud to call her my mom. 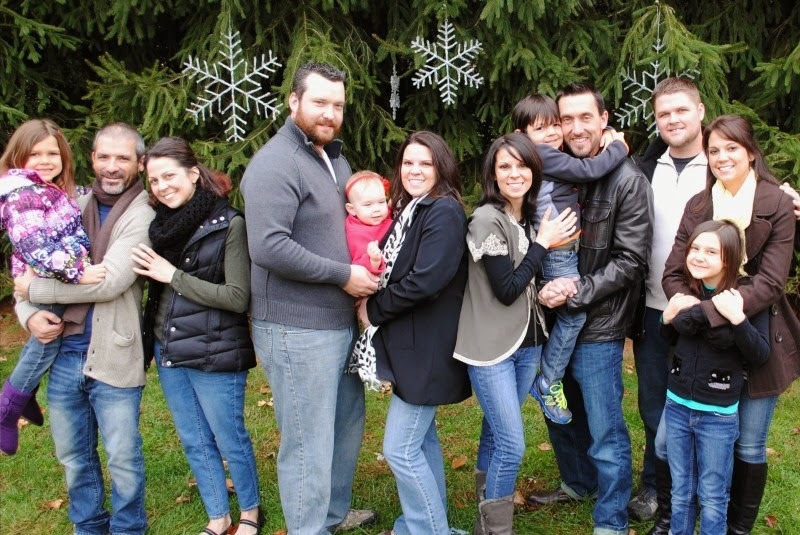 Hands down, it has to be the beautiful family that my husband and I have raised. We have four awesome daughters who all are leading wonderful and productive lives. They are all through school and the last one will be married this summer. We are a family of 14 now with I'm guessing more to come. The fact that my husband and I pulled this off and after 44 years still love each other is definitely an accomplishment to be proud of. What is something that you are not so proud of? My math skills. I feel accomplished when my checkbook balances. Who was your best friend when you were 5, 6, or 7? Tell me something about them. My best friend when I was in 1st grade was Debbie. We remained good friends and she ended up being the maid of honor at my wedding. We still keep in touch mostly through Facebook. We don't see each other in person nearly enough. One thing I know is any kind of tumbling. I tried to do a backward roll to a pike a few months ago with the grandkids and just about broke my neck. Maybe if I keep trying I could do it again. I don't like to think of anything as being impossible. If you could chose it, what would be your last meal? Oh, that's a hard one. There are lots of things I like. 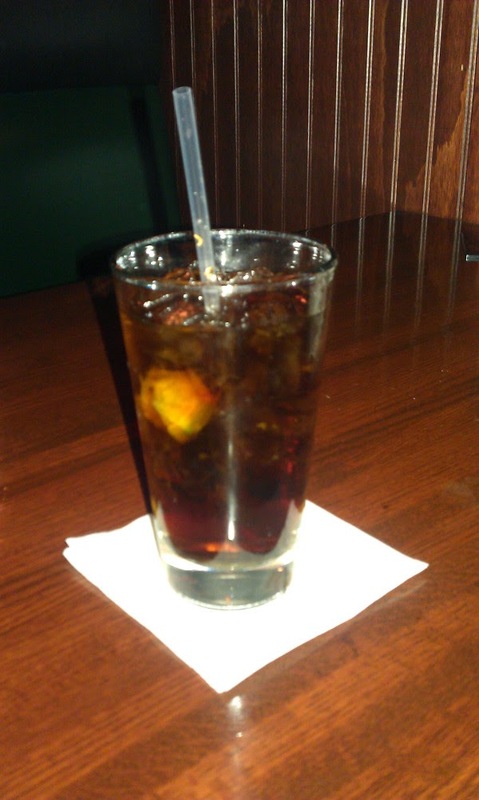 First, I would want a big, tall Bacardi and coke with Lime. Then, for an appetizer I would want either fried pickles or firecracker shrimp. 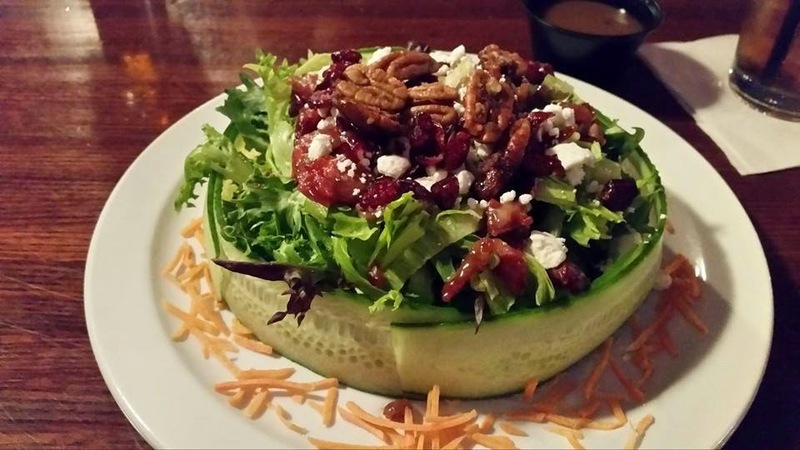 Next, I would want the Craft House salad from a local restaurant / bar in town. It is to die for. For my entrée, it would be a toss up between a really good steak or some really good pizza. 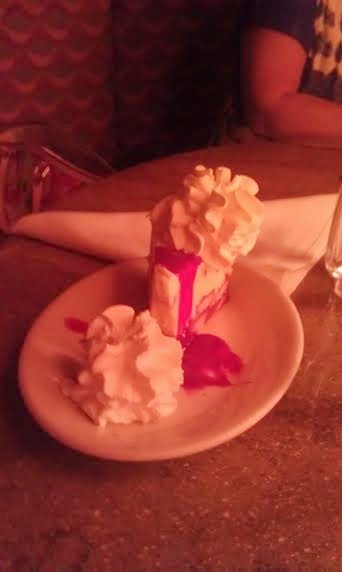 Finally, I would want some cheesecake from the Cheesecake Factory for dessert. Both have to do with children. Back when I was a stay at home mom, I did in home childcare and I loved it. I brought in some money and I was able to stay home with my kids at the same time. My present job that I have had for 22 years now is working in a preschool. I love it. It can get crazy sometimes, but I love these kids and they make me smile all the time. It's the best job ever. What is one job that you did not like? My very first job aside from babysitting was doing filing and sorting at a local camera shop. I did not like it one little bit. I have two. Cleaning the bathtub which is just hard to maneuver and putting away laundry which is too many times up and down the stairs. I am 5'7', but my husband says I am shrinking. I've always been happy with my height, but if I'm really shrinking I'd like to be taller. How old are you? What is something you have learned in those years that you want to share? I am 60 and very proud of it. I know too many people who weren't afforded that privilege. The one thing I have learned and would like to share is that it is so important to put yourself on your to do list. It is so easy to let everything and everyone be ahead of you on that list. Be good to yourself too. Take time for yourself and try to eat well and exercise. I came to that realization really late in my life, but I totally embrace it now. Thanks, Elaine! I really enjoyed this one. So glad you liked it! And YES! you should be SO proud of your beautiful, amazing family, Nancy! I smile every time I see pictures of you all together. So precious... And your mom sounds awesome. You were raised well too. I LOVE this post. And I love your family! Your mom looks amazing for 89. I was thinking she didn't look a day over 70. You always inspire me. That salad looks AMAZING. I love your food choices if they were your last. And thanks for reminding me to put myself on my to do list....it's something I must do! Great Post!!! We should go out to dinner because I love all of your last meal--well except the steak. Firecracker shrimp is my favorite. What a beautiful picture of your family!